This Saturday, March 29, is National Mom and Pop Business Owners Day—an event that not only raises awareness of hardworking small businesses, but the important role these establishments play in our economy. While we celebrate the value of small, family-owned businesses in our communities, it is important for those working within a “mom and pop” shop to realize that having a resume is important. Why Should I Have a Resume If I Am Self-Employed or Work For Family? Having a resume is important no matter what you are doing or who you are working for. With economic uncertainties hanging in the air and many seeking new job opportunities, it is important to have a resume on hand in case one decides to seek employment elsewhere, or take on an additional job. Even those who do not plan on leaving a family business can still benefit from having a resume. For instance, those who translate their resume to LinkedIn can boost their branding efforts and increase traffic to their business—simply by building an online presence. For many reasons, individuals who work for family business or take on the title of “self-employed” will feel as if this experience is not necessarily as valid on a resume as opposed to having a job with a different, possibly corporate, employer. Many women, for instance, will take off work in becoming mothers, to help manage or oversee family business activities. While this may seem like a departure for some, it is important to understand that this experience is certainly suitable for a resume. 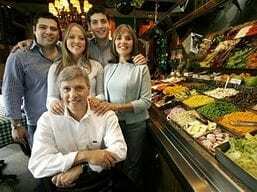 Family business atmospheres often tend to be different than the typical workplace structure, as these establishments often operate with a different sense of teamwork. For instance, in family business many who work there will exchange responsibilities and take on various duties to finish whatever needs to be done. While this dynamic work model can build success for the company, some may not know how their family business experience can translate to job skills applicable for a resume. In a family business, overseeing the work of others may not be that noticeable—especially if they are relatives. However, from the outside, any individual that one gives direction to on a regular basis could be seen as a form of management. “Mom and pop” shop employees should address how many staff members they oversaw, including part-time members. It is also worth noting any team projects that have occurred and required one’s direction. If the business is a true partnership and there seems to be no internal management, individuals should also consider any management they oversee—including vendor relations. For many of those who are self-employed or work within a family business, advertising the company might never seem like marketing. After all, attracting people into the business is how a family makes its living; this often makes all marketing efforts feel like a responsibility rather than a job skill. Some family businesses are lucky enough to have built up a reputation in their community, allowing most of their revenue to come from word-of-mouth or customer retention scenarios. Regardless, individuals should consider what they have done to increase their customer base. Managing social media pages and interacting with customers on the Internet can sometimes translate to Internet and content marketing. Additionally, those who build business as a result of communicating directly with others in the community can often identify themselves as having face-to-face marketing, as well as sales, skills. One of the most important things found on a resume is whether or not the applicant has continued to learn new job skills throughout his or her career. While it is certainly important to list education that may have been completed while working for a family business, it is also essential to note any training courses that were completed or certifications that were maintained throughout the career. For many, these credentials may just be a necessity for keeping up with a family business, but for employers they reveal an effort to stay current. It is also critical for self-employed or family business professionals to state any community involvement they have that may be tied with their work. Since many “mom and pop” employees are often closely tied to their neighborhoods, those who work at family businesses may be able to highlight local organization memberships, such as being on the Chamber of Commerce. If a business has sponsored a local sports team or hosted a charity event, these instances can also fit within a resume. (803) 831-7444 or email resumewriting@grammarchic.net for one-on-one consultations and professional resume writing services. Learn about Pricingon our professional resume writing service!